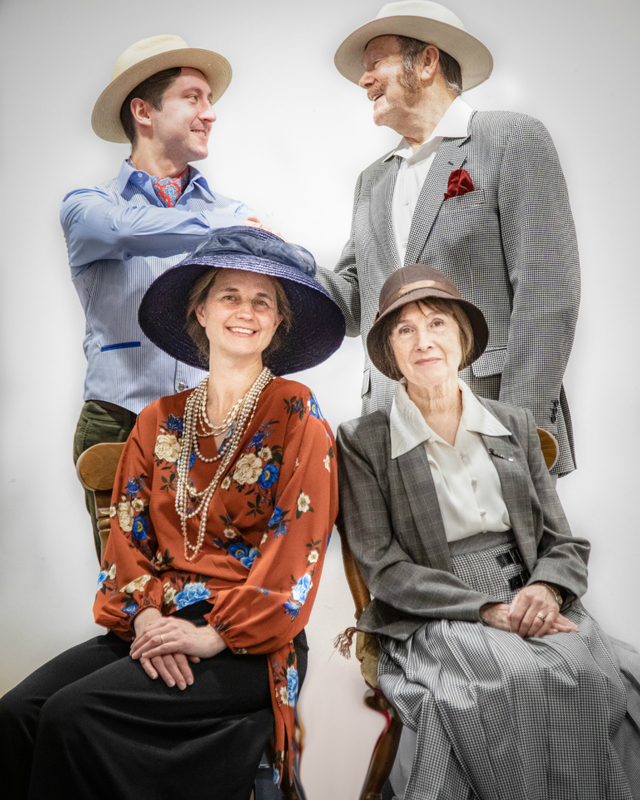 This year Poole & Parkstone Productions celebrates its 100th anniversary, and what better way to start the celebrations than with the P&P Player’s lavish production of the comedy Make Way For Lucia, written by John Van Druten and based on the original novels by E.F Benson. Down on the Sussex coast, lies the quaint village of Tilling. To an outsider it would seem a quiet unassuming place. The very epitome of England and all things English. However, looks can be deceptive. In reality it is nothing less than a hive of gossip and tittle tattle run by Miss Mapp, a woman of formidable energy and deviousness, determined to ruthlessly ensure that Tilling remains her domain, over which she can rule her subjects. But all that is about to change. A challenger, the glamourous Lucia, is about to enter her realm. She has ruled her own home town for many years with equal determination and now seeks new lands to conquer. The battle lines are drawn as the two ladies engage in an art exhibition, a garden fete and evenings of musica. But who will win?